At the end of 2014, Kendrick Lamar appeared on the final week of the Colbert Report as the last musical guest of one of the most important "news' programs in the new millennium. Instead of performing a track off of his classic major label debut, good kid, m.A.A.d city (or to promote his follow up To Pimp a Butterfly), Kendrick deciding to unveil an unreleased untitled track. He was accompanied by Bilal, Terrace Martin, Anna Wise and Thundercat. The Untitled track was another powerful/introspective song that we come to expect from K Dot. In keeping with dropping world premieres on late night shows, Kendrick blessed The Tonight Show with another untitled track. This time the song Untitled 2 was accompanied by The Tonight Show's house band The Roots. I don't think this track is necessarily a continuation of the first Untitled track, but they are both reflective and full of social commentary. So there is that. 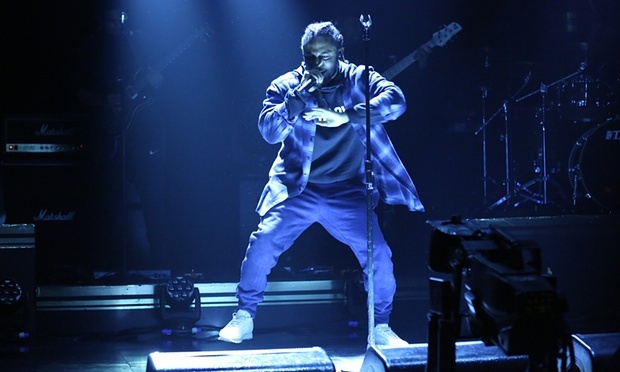 Either way, Kendrick shines even brighter in these live performances. So we win all around. So peep video below. I'm also posting video for first Untitled track. You ain't gotta tell me that I am the one..yes I'm the one.